Numerous businesses turn to high risk credit cards after being deemed high risk companies. Similar to high risk loans, various factors such as industry and clientele go into deciding whether a business is high risk or not. Perhaps you fear that your business might be considered high risk. Then, you will deal with the corresponding credit cards. Continue reading to learn about the consequences of high risk credit cards and processing. First off, contract negotiation issues arise with high risk credit cards and processing. Most high risk credit card processing providers aim to get long-term contracts signed. Typically, long-term contracts include an expensive penalty for scrapping the deal. Furthermore, providers often sneak a liquidated damages clause into long-term contracts. This clause can potentially increase your fees. Look to providers who offer month-to-month contracts. If a provider will not negotiate one with you, look elsewhere for high risk credit cards and processing deals. Another consequence of high risk credit cards and processing is chargeback fees. Both low and high risk businesses deal with chargeback monitoring programs. However, the fees associated with the programs differ. Low risk merchants are given the opportunity to solve the issue. Card networks only punish them if they are unable to come up with a solution. On the other hand, high risk merchants are not able to problem solve. Instead, they are immediately charged. Furthermore, high risk merchant fees increase the longer they are in a program. Chargeback fees are a major consequence of having high risk credit cards. Unavoidable account freezes are also a consequence of high risk credit card processing. 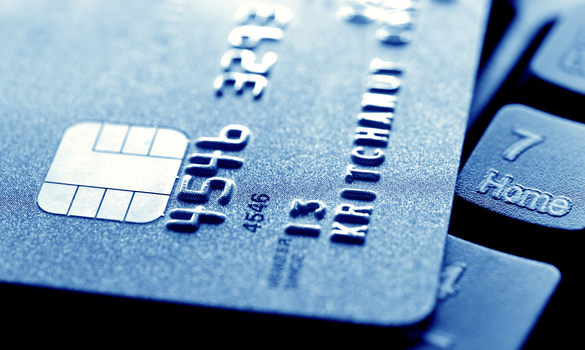 High risk merchant accounts freeze for numerous reasons. For instance, imagine there is suspicious activity occurring on your account. Your processor has the ability to freeze that account. Then, they have the power to evaluate the transactions made on the account. If they find that you disobeyed your contract terms, you will be punished. Whether you were in the wrong or not, your account is frozen. Hence, all credit and debit card processes are frozen. Only the processor can unfreeze the account. Business sales suffer greatly when these situations occur. Businesses using high risk credit cards and processing are at higher risk of fraud as well. Credit card fraud occurs in various ways with high risk accounts. For example, chargeback fees may increase. Identity theft arises. Hackers even take over entire accounts. In the unfortunate event that you experience credit card fraud, your business could hit a financial low. Talented hackers get away with high risk credit card theft every day. It is a detrimental outcome of having high risk credit cards. Finally, high risk credit card processors usually require rolling reserves of business capital. In other words, they demand you to keep a non-interest savings account. The money comes from sales, meaning that your profits decrease. The savings account is meant to be used for chargeback fees. When a chargeback occurs, the bank uses that money to pay it. If you receive a high amount of chargeback fees, you lose the money in your rolling reserve. Many high risk businesses suffer financially for this reason. High risk credit cards can dig your company into the ground during a financial crisis. High risk companies acquire high risk credit cards. Such credit cards cause many issues. For instance, contract negotiation issues arise. Chargeback fees are costly. High risk businesses face unavoidable account freezes. They also experience a higher risk of fraud. Lastly, they are forced to keep a rolling reserve. You now understand the biggest financial consequences of high risk credit cards and processing.